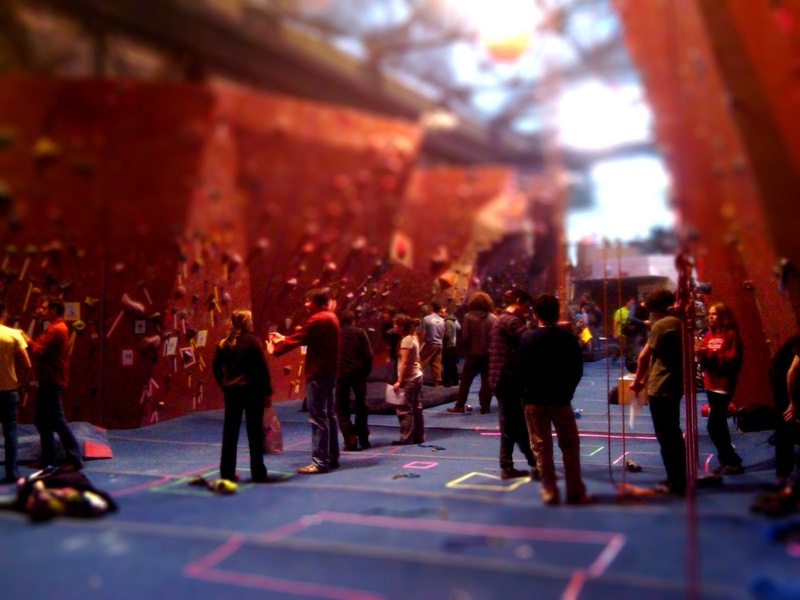 This weekend's Winter Burn, hosted by Philadelphia Rock Gyms, marked my third bouldering competition. 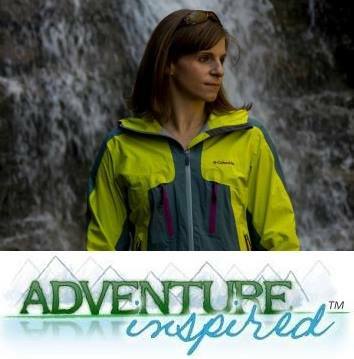 Over my short comp career, I've amassed a set of skills I owe to experience and advice from other climbers. We all define success differently, but for me, success means climbing as hard as I can and having as much fun as possible. These seven "secrets" helped me find success this weekend. So if you're new to competing, or if you're a comp veteran, these "secrets" can help bring you success too! Competitors warming up before the Winter Burn comp at PRG Valley. Secret 1: Show up! Most comps have different divisions for each gender - novice, intermediate, advanced and open. They have problems for climbers of all abilities; there are no barriers to entry. Don't let the word "competition" scare you. I had friends from my home gym hesitate to enter because they didn't think they were good enough. Most of them ended up placing in their divisions. You are good enough! Secret 2: Warm up, the most obvious and most ignored piece of advice. You won't climb well if you're stiff. I sat in a car for an hour traveling to PRG Valley for the comp and made sure to do a little jumping around to wake my muscles up. I stretched out and got on the wall a bit. Starting with a handful of problems two or three grades below your ability is a great strategy for warming up climbing muscles. Secret 3: Strategize. Most comps have route guides available that list each route by point value and location. Scout out the climbs you want to try and remember where they are. Find problems at the top of your ability that play to your strengths, and have a plan for tackling them. Space your climbs out in the time you're given. Having a plan helped me focus, prevented me from pumping out too quickly and ensured I could complete the required five problems I needed to finish to comp. Secret 4: Climb with a friend...or eight! One of the best things about competitions is listening to dozens of strangers cheering for you while you're on the wall. But people you climb with regularly know you. They'll be yelling louder than anyone when you send something they know took every ounce of effort you had. I was lucky to have eight friends from Go Vertical competing; it seemed there was someone I knew cheering for me every time I turned around. A recognizable encouraging voice can make all the difference. Contemplating reaching for the finish hold. Secret 5: Breathe, relax and rest. It's a competition; you're bound to get a little nervous. It's a good feeling, unless you let it get the best of you. This was the first time I made an active effort to pay attention to nerves and stayed relatively calm. Typical comps like the Burn last for hours; there's no reason to pump yourself out during the first 30 minutes. Just take a deep breath or two, relax, break for a snack and a drink, and proceed to the next paragraph. Secret 7: Watch and learn. Watching climbers who are better than you work problems you can't do is an valuable learning experience. They'll try things you've never seen before. Someday, I'll be good enough to compete in the Open division and qualify for finals. 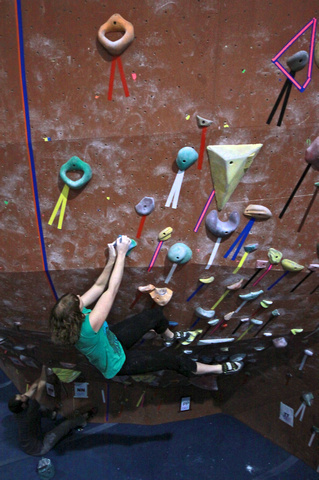 But until then, I'll keep compiling mental photos of climbers better than I am practicing skills I need to learn. It's inspiring! Big thanks to PRG President Dave Rowland for taking the time to explain the bumping process and how PRG handles division cutoffs at comps! Do you have any other tricks you've used to have a successful comp day? Share them in the comments! I've only competed once before, but I know I didn't follow much of this advice. Wish I wouldn't have jumped on as many routes as possible and gotten pumped quickly. Congrats on the personal best, and thanks for the advice. I did that at my first comp, just tried all the hard stuff in a row right at the beginning. It's such a bummer when you realize an hour in that you're already tired! Hope you get to compete again soon, though I know you're a busy guy, Jeremy! Thanks for sharing, Katie! I've been too shy to try a comp (I always think I'm a middle-of-the-woods-with-one-partner type of gal), but I am really inspired by you and your "secrets." Sounds like a blast and congrats on your success! Elizabeth, so glad you got something out of the post! There are so many strong women I climb with here, and several of them expressed hesitation about competing too. They definitely underestimated themselves. I hope you're able to get to a comp soon! You're making me want to compete again! !